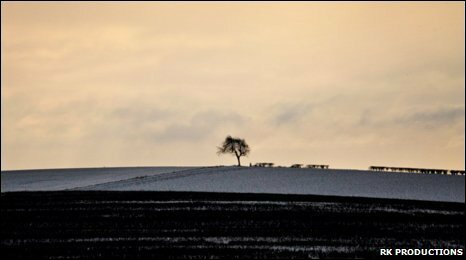 On a snowy Palm Sunday in 1461, 100,000 men gathered close to Tadcaster with the intention of killing one another. The Wars of the Roses had been rumbling on for years and they intended to settle it, the hard way. On one side were the Lancastrians, on the other side the Yorkists. But it wasn't county against county, it was more north against south; cousin against cousin; the Lancastrian forces of Henry VI up against the Yorkists, led by the man who would win the battle and claim the throne, 18-year-old Edward IV. North Yorkshire soil would see a throne change hands, altering the course of English history. On that one day up to 28,000 soldiers would die in slaughter from dawn to dusk. In 1996 a mass grave of more than 40 bodies was discovered at Towton Hall. Emerging from the soil were soldiers who'd fought and died at Towton. Archaeologist Tim Sutherland describes what a significant find it was: "When I first saw them, I was absolutely stunned. A whole grave pit full of skeletons. But they weren't just any skeletons, we knew exactly when they died. They died on the 29 March, 1461. On that day these people went through hell. "I feel as though you can almost touch the history. It's something that, the more you get to know about the Battle of Towton, the more you realise it wasn't just any old medieval battle, it was a very significant event." 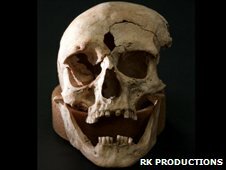 Some of the skeletons showed evidence of up to 20 head injuries. They all died a horrible death and some of the skeletal remains are being studied at the University of Bradford. Dr Alan Ogden, a palaeopathologist, comments: "The thing that shook us was that these people had been butchered. The main thing is the sheer number of head injuries. Perhaps the most spectacular ones are where people have basically had part of their head sliced off, or their head cut in half. But what's interesting about Towton is that there's evidence of mutilation. That noses and ears were cut off." Evidence of the killing and the combat is still bubbling out of the ground. 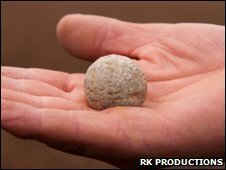 Metal detector enthusiast Simon Richardson has spent nearly 30 years finding objects and has made a discovery of international importance: the oldest known bullet found on a medieval battlefield. Historian, Philip A Haigh described what the battle would have been like. He said: "It would have been intense, it would have been noisy, it would have been fearful, it would have been horrific. Twenty eight thousand people to die within 12 hours is a huge number. "If you compare that to the first day at the Somme where we had 10,000 British casualties; to then have three times that many casualties at Towton, you can only imagine what the melee, the man-to-man cut and thrust could be like. The battle was so intense that at times the bodies piled up so high that the opposing sides had to say 'Stop! Let's move these bodies out of the way and then let's get back to it.'" There are few laws or regulations that protect important battlefields such as Towton, as Julian Humphrys of the Battlefields Trust explains: "Unfortunately, battlefields at the moment have no legal protection. There is a register that English Heritage has developed and that can assist in planning applications but it actually gives the battlefield no legal protection at all." A Heritage Protection Bill which would have given battlefields protection, and made unsupervised metal detecting illegal was dropped. One of the first acts of remembrance on the battlefield was just a few short years after the killing, when three bells were cast for All Saints Church in Saxton. 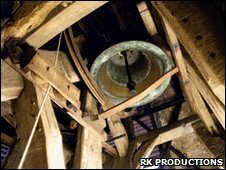 After more than 500 years they're still ringing out over the fields. Museums across the UK are now running trails. Can your family solve the puzzles and become Guardians of the Museum?